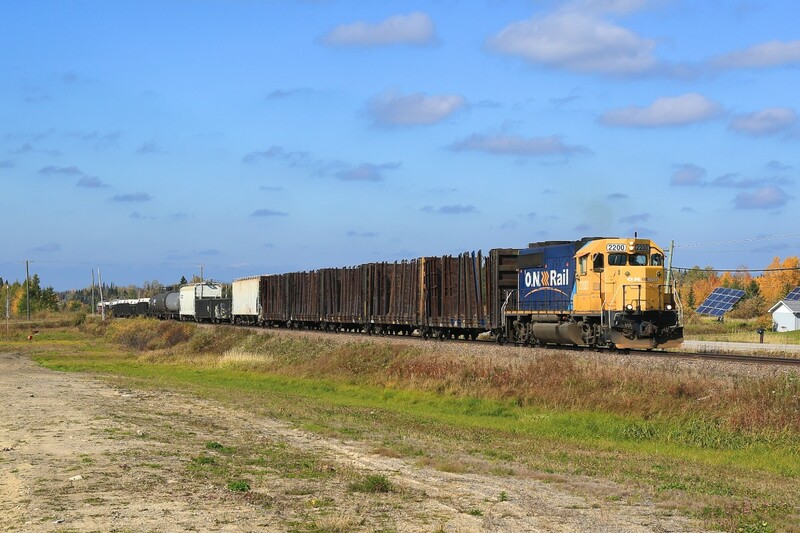 Railpictures.ca - Craig Allen Photo: 2200 leads the tri-weekly train from Hearst into Kapuskasing. It is pictured here on the western outskirts of Kapuskasing beside the town’s airstrip. | Railpictures.ca – Canadian Railway Photography – photographie ferroviaire Canadienne. Caption: 2200 leads the tri-weekly train from Hearst into Kapuskasing. It is pictured here on the western outskirts of Kapuskasing beside the town's airstrip.